When it comes to religious contact and transfer, early modern Scandinavia has not been considered to be the first address for examination. One reason for this may be that at first sight, from this era onwards this region seems to be dominated only by one stout and monolithic state religion, i.e. Lutheranism. But giving the geographical frame a second thought, however, one may discern many regions and situations of religious contact within or at the shores and borders of the Scandinavian peninsula, such as the interreligious encounter between the different forms of Christianity and the indigenous Sámi religion in the very North. Only rarely discussed are intra-religious encounters between Protestant and Orthodox Christianity in the eastern parts of the Scandinavian pensinsula or at the shores of the Baltic coast lines. Furthermore, due to colonial and imperial ambitions of the two Scandinavian realms, Denmark-Norway and Sweden-Finland, there are even first contacts to regions such as India, Africa, Central Asia, and not to forget the Arctic Greenland. 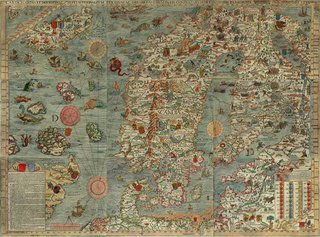 This workshop aims at re-evaluating early modern Scandinavia as a prime place for the study of religious contact and transfer, including case-studies covering regions from Greenland to Siberia and India during the time period between 1500 and 1750.